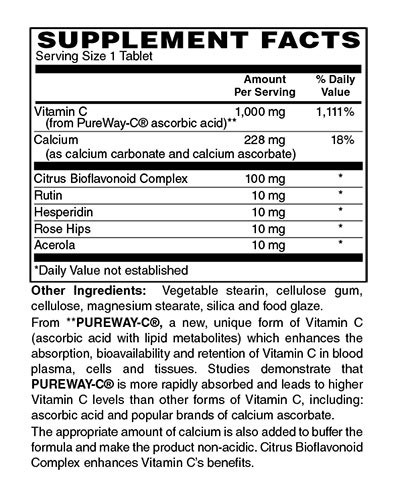 Vista Natural Wellness PureWay C is a new, unique form of Vitamin C (Acorbic Acid with lipid metabolites) which enhances the absorption, bioavailability and retention of Vitamin C is blood plasma, cells and tissues. 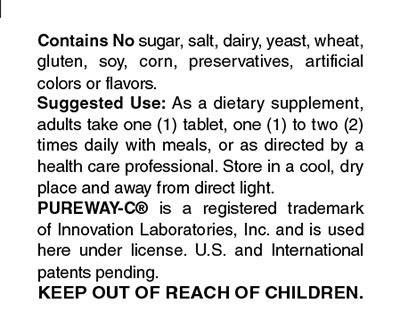 Many research studies demonstrate that PureWay C is more rapidly and completely absorbed and leads to higher Vitamin C levels than any other forms of Vitamin C, including ascorbic acid and popular brands of calcium ascorbate. 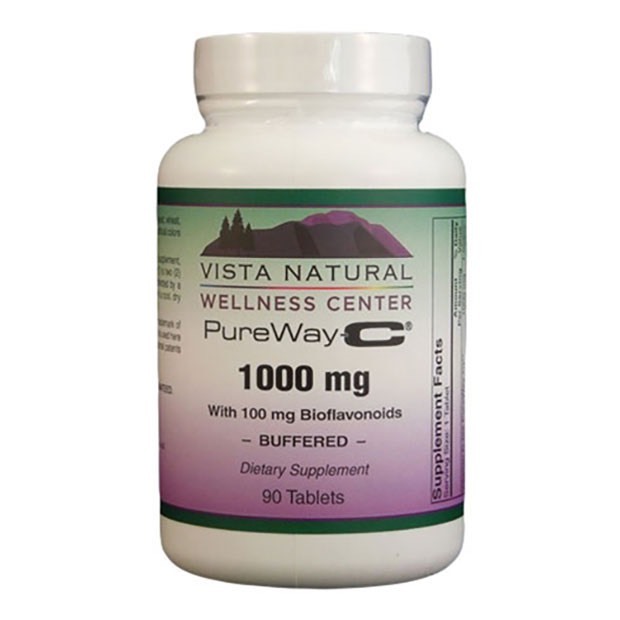 PureWay C maintains blood levels up to 10-12 hours with a single dose. The appropriate amount of calcium is also added to buffer the formula and make the product non-acidic. 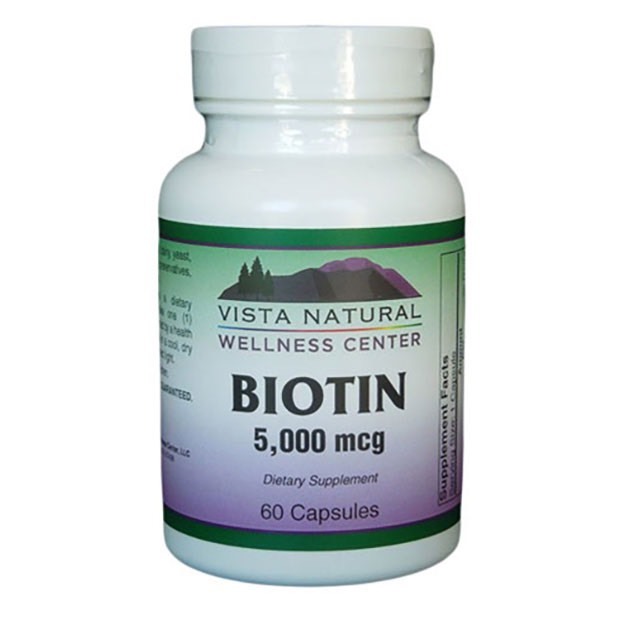 It contains citrus bioflavonoid complex, which enhances the benefits of Vitamin C.
Vitamin C is an essential vitamin which acts as a powerful antioxidant, protecting and enhancing the formation of collagen in the body. It also helps keep vitamin E in its active, antioxidant form, preventing the accumulation of free-radicals and their toxic effects. It also acts as a natural antihistamine. 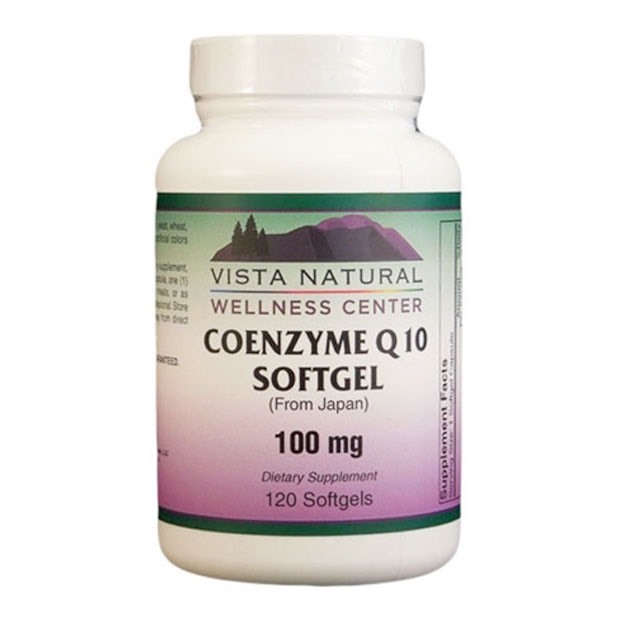 It is also necessary for the absorption of iron and calcium. 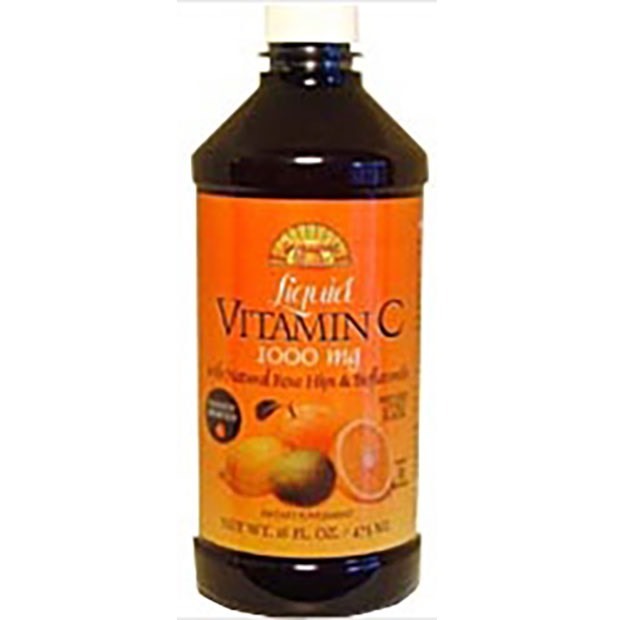 Playing a powerful role in strengthening blood vessels and healing wounds, Vitamin C is important for leukocyte function. 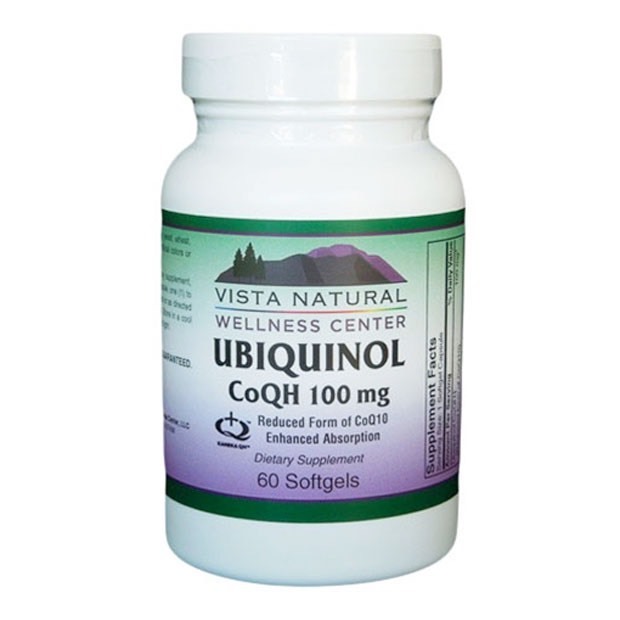 The elderly and people with special metabolic needs may need significantly higher amounts of this crucial nutrient.